Usually, the heroes try to do romantic movies in the initial days of their career. After getting some seniority and fan following, they try to do some commercial entertainers as well as mass masala movies. But Nandamuri Kalyan Ram is an exception from this. Because he has scored some hit movies with action entertainers in the starting of his career but after becoming a senior Hero, he is doing a complete love story Naa Nuvve. Jayendra is helming this project and Kalyan Ram has entirely changed his look for this film. He removed his mustache and is looking attractive with his good physic. "A few months ago, when I told my wife that I have to remove my moustache for a movie, she looked at me doubtfully. But after seeing the posters and my getup, she felt really happy. Now she is stating that I am looking good now" said Kalyan Ram about his wife. Also, Kalyan Ram's son complimented that he is looking handsome without a moustache. 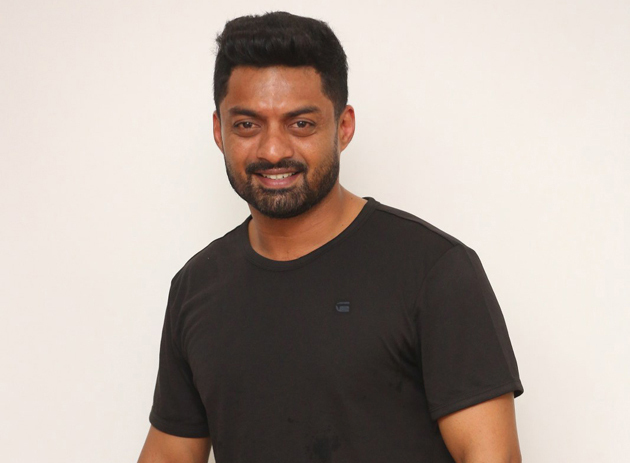 So, as both his wife and son reacted positively, Kalyan RAM is confident that his new look will definitely work out well. Nandamuri Hero added that he felt somewhat nervous in the starting of the shooting but later he got adjusted in the role.